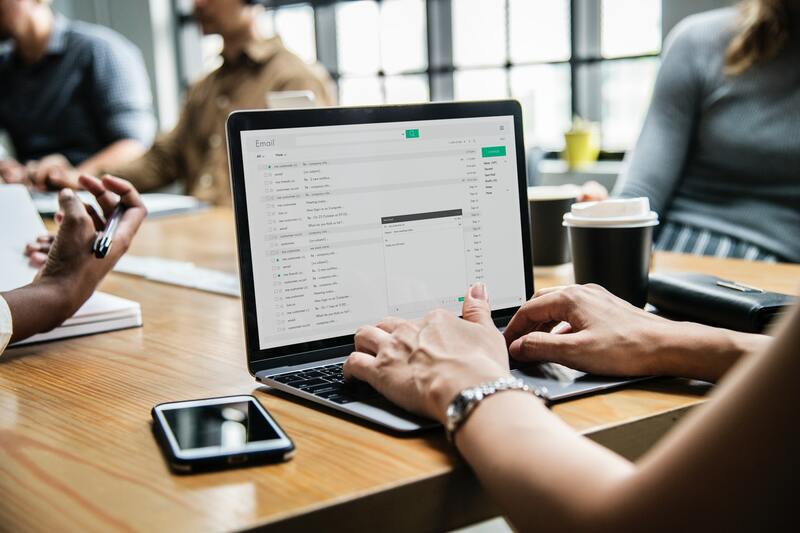 There are several different types of emails, and ideally, you’ll want to use each, depending on where your customer is at in their sales journey. Obviously these are the emails that mention your services and any special sales you have going on at the time. This is the content you deliver your audience on a predetermined schedule, and it’s something they’ll come to rely on and expect. Newsletters, blogs, or any content you’re delivering because of something they subscribed to or signed up for fall into this category. It’s important to keep these things on a schedule because once your subscriber base is large enough, you’ll be hearing from them if you haven’t delivered on time. Keeping to a reliable schedule harbors trust between your company and your audience, and trust yields conversions. These emails can be considered the ‘nuts and bolts’ of your email marketing campaign. They tie everything together once someone subscribes to your list. Transactional emails include welcome messages, confirmations to a subscriber signup, and order and purchase confirmations. These email types can be conveniently setup through automation and sent out to your audience when certain triggers occur. For instance: someone subscribes to your blog. This triggers your email marketing software, which then sends out a confirmation email for the subscription followed by a welcome email, allowing a more personalized touch so that your new audience member feels as though you’re taking extra time out just to welcome them. Hint: Make your welcome emails less stuffy-corporate and more ‘Hey, how ya doing? !’ aka loosen up a bit. This is their first impression of your company as a whole, and making them feel more at home with you will go a long way in terms of conversion down the road. This is a big one. Why? Because sending an email on a day that majority of your subscriber base isn’t going to open it is a giant waste of time, money and energy. More emails are opened on Tuesday than any other day of the week, and Fridays are one of the worst days to send emails. There’s nothing worse than spending hours cultivating content for an email marketing campaign only to send it out and get crickets. You need to captivate your audience from the start, and you can do so by putting together a handful of emails that introduce you, your products and brand in a way that feels natural and not forced. Just like your initial welcome email should feel more casual and less buttoned-up, a welcome series should do the same. When creating your content, write it as though you’re telling a friend about your products and services over coffee. Keep the tone relational, and your subscribers will feel more inclined to purchase from you. Email 1: Introduce them to your company and what you’re all about. This email helps them get familiarized with things like your values and the team behind your brand. Done something to help out your local community? Include that in this email with a candid photo from the event. Email 2: Give them a feel for how your products and services can improve their lives. Share with them a real-life example or testimonial from someone who benefited from what your company has to offer. Have a picture of the person providing the testimonial? Even better! Email 3: Invite them to engage. Send a personalized email asking them which of your products they think could best serve them and why. And when you get responses, make sure to get back to them in a timely manner! After all, those responses are going to fall outside of your automated cycle, but they’ll bring in far more opportunities for high conversion rates if you follow through. Email 4: Does your company host webinars talking about your products and services? If so, now’s the perfect time to promote it. If not, this is a great window for you to go after that first sale! Email marketing can be quite daunting if you aren’t skilled in creating campaigns that deliver results. That’s why it’s important to bring in experts. The team at Connections Marketing is here to help. Whether you’re looking to develop a solid welcome email series or deliver regular newsletters or blogs, our dedicated copywriters and email marketers have what it takes to provide your subscribers with the things that keep them coming back for more – and more importantly, help grow your business. Get in touch with us today.